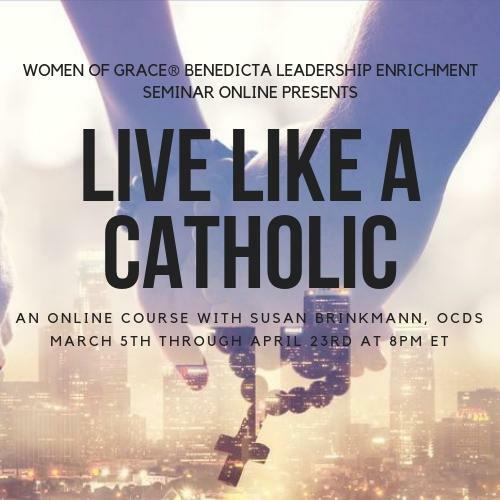 Learn How to "Live Like a Catholic"
***Though Live Like a Catholic is the sequel to Pray Like a Catholic, it is not necessary for participants to have taken Pray Like a Catholic in order to benefit from this course. 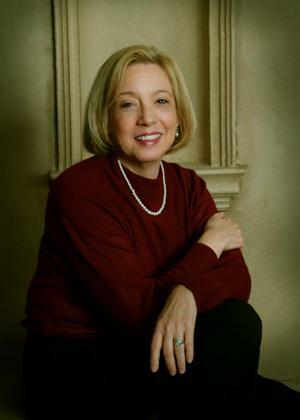 Susan Brinkmann, O.C.D.S., author and award-winning journalist is a member of the Third Order of Discalced Carmelites. She is the Director of Communications and New Age Research for Women of Grace® and is a frequent guest on EWTN's Women of Grace ® television show. She formerly worked as a Correspondent for the Catholic Standard & Times, the newspaper for the Archdiocese of Philadelphia. For the last 10 years she has been the lead researcher for Women of Grace’s New Age Q&A Blog which is the largest blog of this kind in the world. The library of information now exceeds 1200 entries on everything from acupuncture and angels to wicca and yoga. She has also authored seven books, including The Learn to Discern Compendium: Is It Christian or New Age which has an imprimatur from the Archdiocese of Philadelphia. Liguori Publications published the story of her conversion, entitled, We Need to Talk: God Speaks to a Modern Girl . Along with Johnnette Benkovic, she co-authored the Young Women of Grace Study Program which teaches girls ages 13+ about what it means to be authentically feminine. Her latest publication is The Catholic Guide to Mindfulness, published by Avila Institute , which has an imprimatur from the Diocese of Birmingham. Her national journalism awards include the Bernadine-O'Connor Award for Pro-Life Journalism, the Eileen Egan Journalism Award from Catholic Relief Services, and numerous awards from the Catholic Press Association and the Philadelphia Press Association. We welcome your questions and answers and look forward to hearing from you! If you have any questions, please contact info@womenofgrace.com . Affordably priced at $135 for 8-week course.